by David and Leigh Eddings. Althalus, burgler, armed robber, is paid to steal a book by a sinister stranger named Ghend. Althalus sets off to the House at the End of the World where the book is kept. There, in the same room as the book Ghenddescribed, he finds a talking cat. What he can’t find as he turns around is the door by which he entered. Back in the long long ago, The Redemption of Althalus was a book that was recommended to me by one of my high school teachers. I even think that they lent me the book so I could read it. Regardless of the recommendation I remember really enjoying the book. The book has 913 pages and is huge! I do remember that it took me a while to get through the book, but I think I was just coming off of reading the Lord of the Rings, so I was used to the larger page counts. Are you a blogger who keeps telling themselves you’ll get around to writing reviews, but then don’t. Do you write ‘review to come’ on Goodreads only to let them languish for years? Well then, the blog feature ‘Long Lost Reviews‘ is for you. The aim of the blog feature is to start tackling your review backlog. Whether it’s an in-depth analysis of how it affected your life, one sentence stating that you only remember the ending, or that you have no recollection of reading the book at all. Let’s tackle your review backlog and dig up some long lost reviews! If you are interested in participating: post on the Second Thursday of the month, you are welcome to use the above icon, and all I ask is that you include a link to this post or to my blog. Thanks and happy writing! When Izgard of Garizon put on the Coil and crowned himself King, he set in train a course of tumultuous events that would reverberate around the continent. For the Coil must have blood. And the first blood to flow is that of Berick of Thorn, the legendary conqueror of Garizon. His son, Camron, wants revenge and knows that Izgard can only be stopped by force of arms. He seeks out the man who knows most about Izgard’s murderous hordes – Lord Ravis, a ruthless mercenary with a dark and secret past. And Tessa McCamfrey is about to become caught up in this dangerous and exotic world – with the piratical Ravis, a beautifully patterned gold ring and a role to play in the momentous events that unfold. To me, The Barbed Coil, was a big ‘oh’ moment. Words cannot express the sheer brilliance of Terry Pratchett’s imagination.The back catalogue of this man is not only large but his most well known work, the Discworld series spans across over 40 books. The distinct and different style that is distinctly Pratchett’s is one that blends comedy with high fantasy. While certainly taking place in a somewhat typical fantasy world, the Discworld series is one that is full of magic, adventure and a dastardly sense of humour. Through techniques such as extensive and sometimes page long footnotes as well as a distinct characterisation, Pratchett weaves unique stories set in a vastly different world. 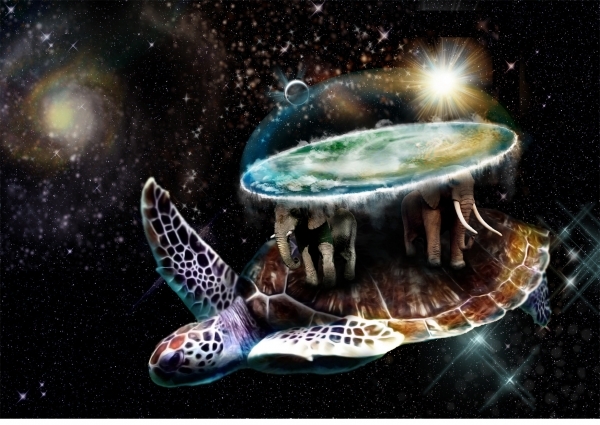 To understand the scope of the world creation one simply has to look at the place in which the Discworld series is set, the Discworld. The normal day to day life of the Discworld is one that is as the name implies, on a disc. However, this disc is one that is held up by four elephants who themselves ride on the back of a giant turtle which is forever swimming through the infinite vastness of the universe. Such imaginings are almost typical of Pratchett’s stories with other reoccurring stand outs including an oddly human Death personification, an orangutang librarian, the Night Watch and the staff of the Unseen Wizard University. These characters and the magical stories that the novels weave are what have led to a very passionate fan base. Indeed the real value of this series is in how welcoming it is to new readers. New initiates to the Discworld do not have to start at book number one and slog it out to the end, rather the way in which the series is written allows for new readers to start at any novel. Pratchett writes novels that sometimes do connect together or to past characters but often times, each new book is dedicated to a new bunch of characters with old characters being mentioned and interacted with occasionally. With this in mind, it is with a small shove, that this blogger highly recommends that a Pratchett book be picked up and read, post haste!